As a disclaimer, when you go to Google you’ll likely see different results. The screenshot above (click on it to see the large version) was made on the Brazilian version google.com.br. On the U.S. American portal google.com, my blog is on #847. I’m going to share my tips and strategies that I think are responsible for this with you soon, so stay tuned. Wow! Great achievements. Honestly, I don’t know anything about SEO or ranking, especially in keyword management stuff. I think I will learn from you. I got my first blog 3rd week of November of last year, surprisingly, Google make it at Page Rank 4 I just noticed it last month. My new site is just 34 days old, I am not progressing as good as you perhaps, I can get some tips from this blog from now on. Although I worked on a niche keyword, it somehow places me at either no. 1 or no.2 in Google search. Alexa is crap. Their service is very unreliable. If you have more than one blog / web site, you can add them all to a network and get an aggregate picture of how much traffic is flowing across all your sites. I use quantcase, google analytics and wordpress stats. That covers all the bases. I also used to review my awstats regularly, but not so much anymore. Google rank in a country is not so hard to achieve. 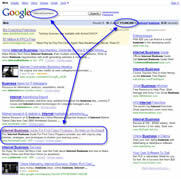 Global google rank is the target to aim for. I have a GPR of zero because I write paid reviews on my blog. Is there any way to repair it? I’m looking forward to reading your tips and advice here. My page rank was fairly high until my site crashed and I had to start over from scratch. I was dumb and didn’t save any of the data and my entire site was erased. This was mostly my fault that this happened though. I look forward to the future tips that you are going to have on your blog. Congratulations to your for the Goggle 4th ranking! What an elated feeling you must have. I shall be tracking your post to learn more about your effort and work. That’s awesome. I’ve been working on boosting my Alexa rating recently. I’ll be back to check out your tips. And it does make a big difference in different countries… you want to aim for the worldwide not just Brazil… but at least you’re making good strides! Your blog is only 43 days old and you have a PR3??? How in the heck did you do THAT? Yes, I’m going to give you lots of tips and strategies in the near future. Stay tuned by grabbing my blog’s feed, subscribing to the announcement list, or simply check back often. This all sounds very interesting to me. Can you please get in touch with me via email and let me know just what’s up? I’m looking for a way to work out of my home and raise my son, sending him to school every day and trying to my a living. Looking forward to hearing from you real soon!! This is something I have always thought of as important – to rank high in regional searches. Some sceptics are likely to say why the heck would I want Asian or Southern American traffic? Actually it can make a lot of difference because many non-US visitors are more attentive and. Marcus, how are you doing in other regional searches like India and Malaysia?